LOVE and family are the secrets to Len and Marlene Faulkner's long and successful marriage. 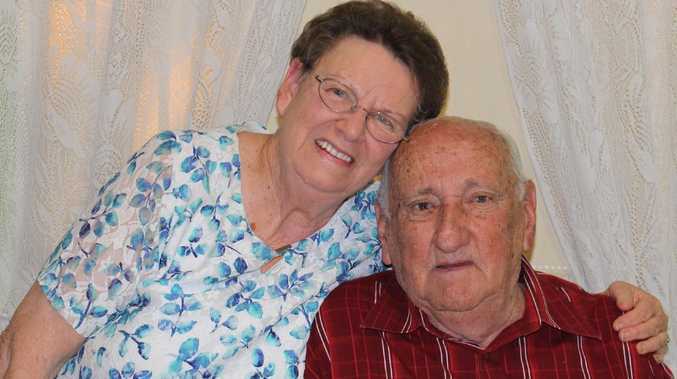 The Bald Hills couple will celebrate their 60th wedding anniversary on Thursday, August 23. Len, from Barcaldine, and Marlene (nee Hunt), of Gladstone, met in 1956 in Yeppoon while visiting a mutual friend in hospital. "Len gave me a ride home and that started it all," Mrs Faulkner said. The couple was engaged six months later and married in the Presbyterian Church on August 23, 1958. After a honeymoon in Brisbane and the Gold Coast, the couple lived in Rockhampton for seven years and Roma for nine months before moving to Brisbane in 1966, all for Mr Faulkner's work in the railways. 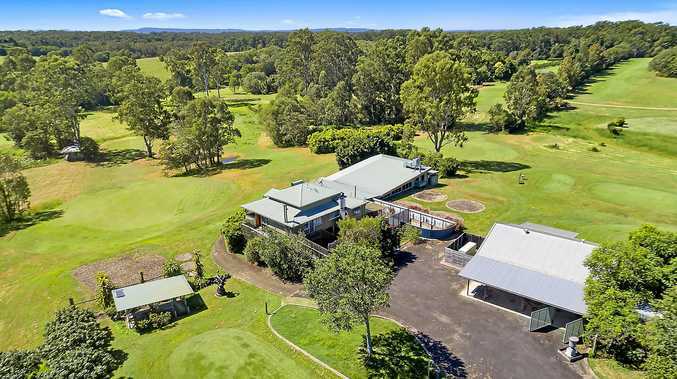 They lived briefly in Windsor and Toombul before building their current house in Bald Hills in 1967. 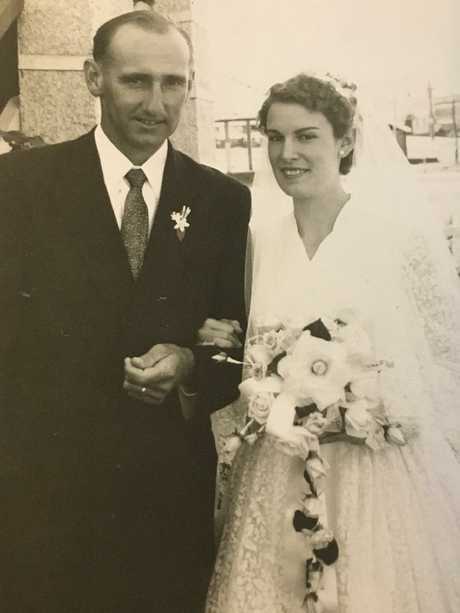 Len and Marlene Faulkner (nee Hunt) were married in Yeppoon on August 23, 1958. The couple has two children, Janice and Wayne, nine grandchildren and one great-grandson. Mr Faulkner did his compulsory national service in 1952 and has been a member of the National Service Association Brisbane North branch at Kedron-Wavell since 1995. He is a former publicity officer. Marlene has been a member of the branch for 17 years and is currently chairman of the supporters group. When asked the secret to their long marriage, Len said honesty and Marlene said "we love one another". "We've never had an argument in our whole married life," she said. "We respect one another and each other's views and talk things over. We do most things together except Len doesn't like shopping." The couple spent a lot of their courtship going to dances and both still enjoy listening to music. Mr Faulkner said their expanding family also "keeps us going". They will celebrate their diamond anniversary with a family dinner at Kedron-Wavell Services Club.